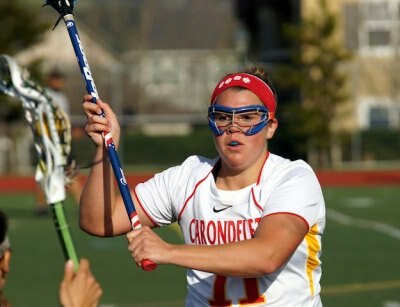 History is repeating itself, and Carondelet lacrosse is determined to make that a good thing. History can be a funny thing. Occasionally, it repeats itself — and this is exactly what the Carondelet girls lacrosse team discovered on April 10. These girls did not discover this in history class, though. These girls found this out on a field. It was the same field that several of them had played on just over a year ago. The same field one of their East Bay Athletic League rivals calls home. And most significantly, the same field that Amador Valley defeated them on by a single goal in 2012. The Cougars traveled to Pleasanton this season with all the confidence in the world. 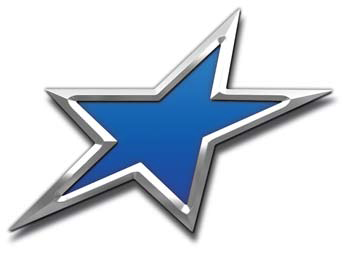 They entered the game as the top-ranked team in California according to LaxPower.com. They left with a wake-up call. 2012 All-American midfielder Kerianne Hunt scored three early goals, and Carondelet built up a 7-2 lead with just under a minute to go in the first half. Despite two quick goals from the Dons before halftime, the Cougars still seemed to have the edge. Fueled by a spirited home crowd, Amador Valley, the No. 2-ranked team in the state, fought its way back in the second half and eventually evened the score at 9-9 with eight minutes left. The Dons added another goal shortly after to take a 10-9 lead. It ended up being all they needed. The minutes ticked off the clock one-by-one. History had repeated itself. Just like the previous year, Amador Valley squeaked out a narrow victory over Carondelet in the closing minutes of the game. One goal apiece. The Dons won 9-8 in 2012. “This was a really tough loss,” Cougars head coach Rick Jeffery said following the loss that dropped his team to 11-3 on the season and 1-1 in EBAL play. In the last two seasons combined, Carondelet has lost just five games. Three of those losses have come to distinguished out-of-state schools that are consistently ranked amongst the top teams in the country. And the other two? None other than Amador Valley. Despite the unfortunate loss, there is still plenty for the Cougars to be proud of, and plenty of hope for the remainder of the season. In 2012, Carondelet got a rematch with Amador Valley in the North Coast Section Division 1 championship game, which was played at Dublin High School. The Cougars came out on top, winning handily by a score of 21-12. It was the school’s second straight NCS title. With both teams playing at an extremely high level once again, a rematch is this year’s championship game is almost inevitable. Jeffery believes his team will be ready. Hunt mirrored the thoughts of her coach, and identified a specific lesson she and her teammates took from the loss. Of Carondelet’s eight seniors, seven of them have signed a letter of intent to play Division 1 lacrosse next year. Hunt (Brown), Erin Jeffery (Hofstra), Morgan Castelein (Ohio State), Katie Merritt (San Diego State), Molly Kuptz (Saint Mary’s), Danielle Sanchez (Fresno State) and Cali Castagnola (Colorado) lead an experienced team with incredible depth. Erin Jeffery, the reigning EBAL Player of the Year and also an All-American in 2012, credits much of her team’s success to her coach, who happens to be her father as well. In what has been quite an interesting experience, Erin Jeffery has enjoyed every minute of playing for her dad. Like her father, Erin Jeffery believes her team gained valuable experience in the losing effort. “We” is a common word used by the Cougars, and it comes as no surprise with a noticeably close-knit group of players. Despite all the individual talent, selfishness is seldom seen amongst the team. The strong rapport of the players is likely attributed to the amount of time they spend together. Several of the players also compete for the BearLax club lacrosse team, one of the top club programs on the West Coast. For now, Carondelet is back to the drawing board. It still has six regular season matches left, and its goal is to continue to improve as playoffs near. The NCS playoffs begin May 14, with the championship game set for May 24. Once again, the 2013 NCS title game will be played at Dublin High, negating any possible advantage for Amador Valley if they meet the Cougars again. After last year’s championship game results, one question will certainly be looming should a rematch occur: Will history repeat itself again?